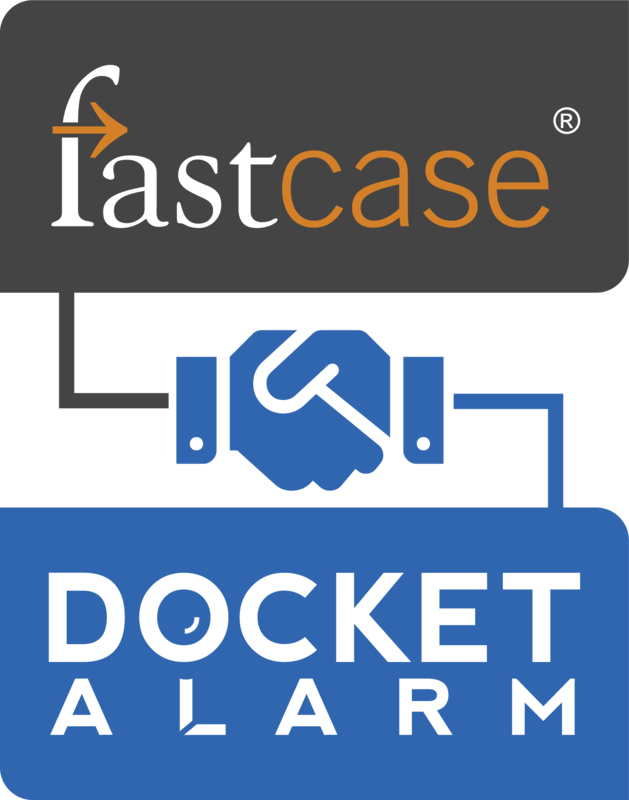 Docket Alarm is honored to receive Legaltech Product Innovation Judge's Choice Award for 2019. Recipient of Legaltech Innovations Awards 2015 and 2019. The law is more than published judicial opinions. 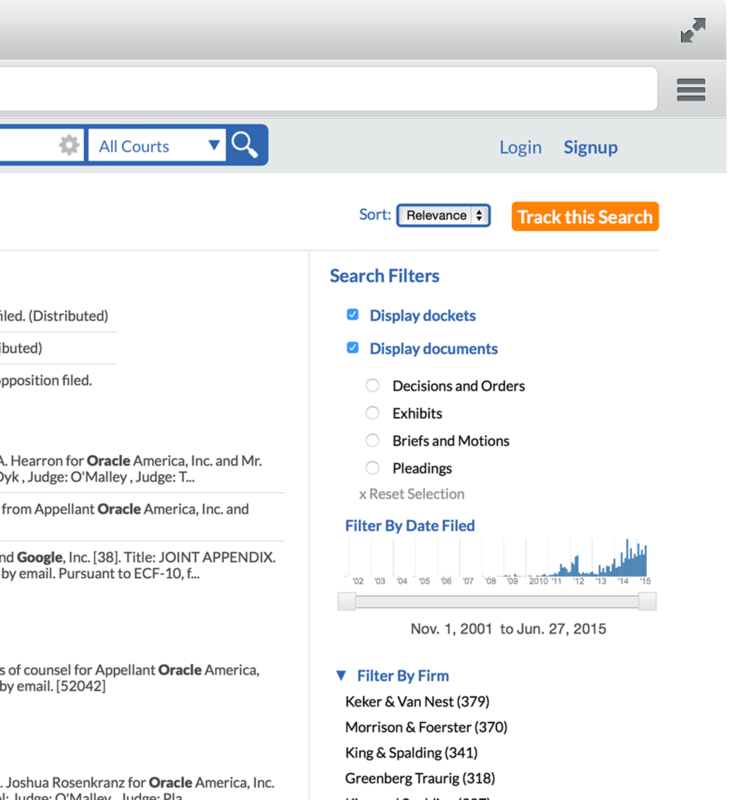 Search the full court record and find information that other services can’t. We’re the largest search engine on the net for Federal court dockets. Easily search and track cases in all 50 states and filter by party, attorney, judge, and more. The comprehensive resource for the PTAB, TTAB, and ITC. 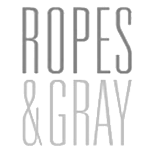 Every decision, motion, petition, and exhibit is tagged to make searching IP cases a breeze. Never manually check the court docket again. 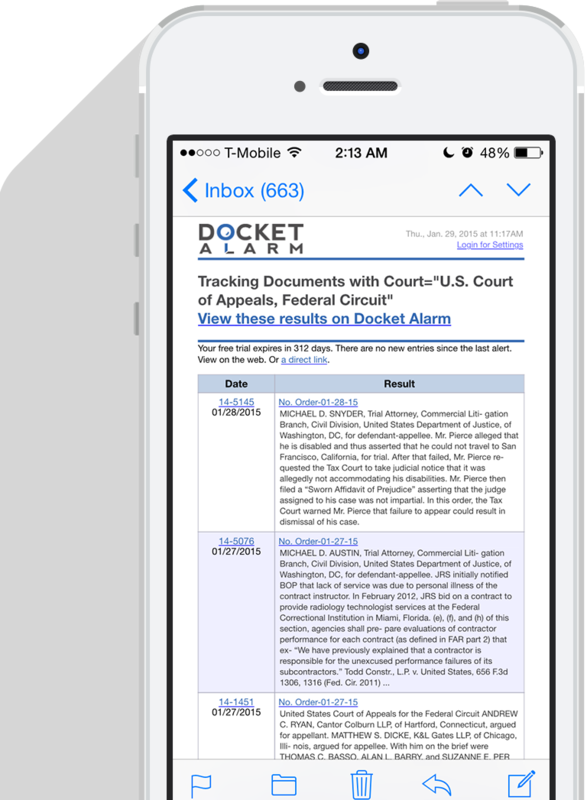 Receive alerts on new court activity with filings attached. Also, get alerts when new lawsuits are filed against a company, or matching your search criteria. Bulk download hundreds of filings at once, and export anything to a spreadsheet. We tag each case with which side won. Looking at thousands of cases, we can tell you the likelihood of winning given a particular judge, technology area, law firm or party. Gain a tactical advantage and make better client pitches. 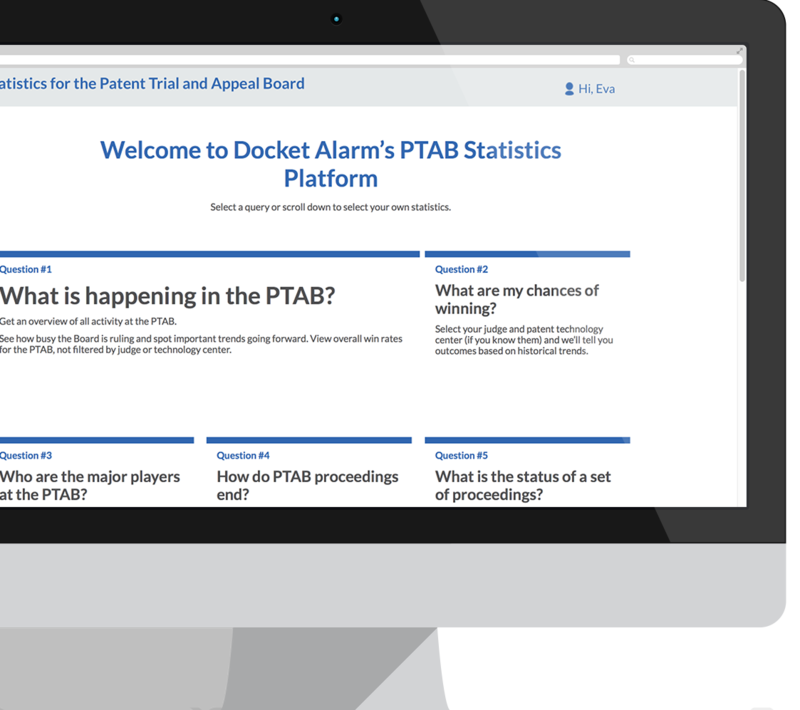 Learn more about our PTAB analytics here. You spoke, we listened. 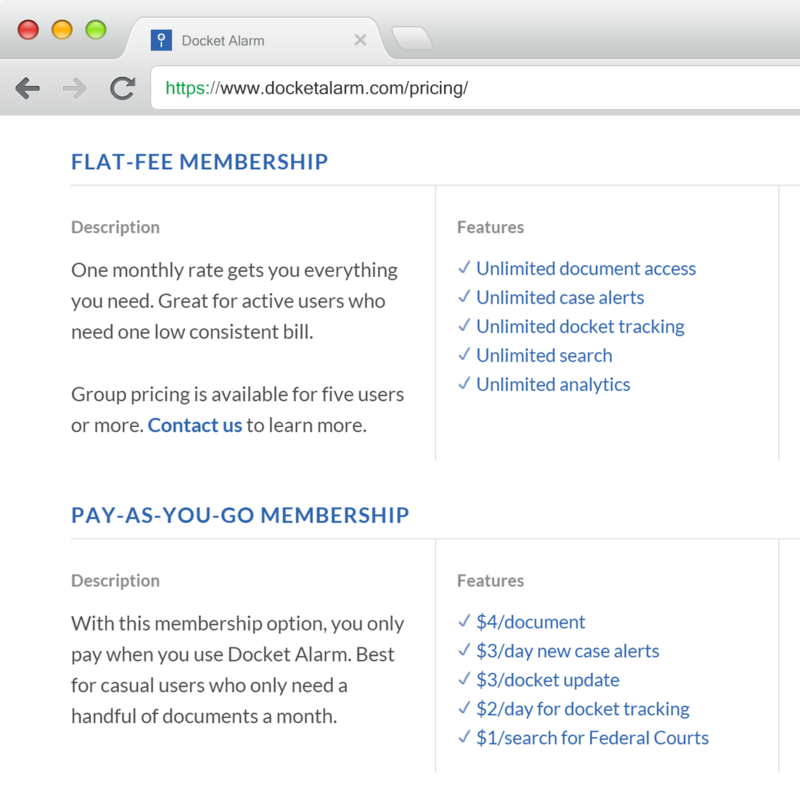 Docket Alarm offers a monthly plan as well as a pay as you go plan. Whether you want to download 2 documents or 200, we have you covered.